Your sweet tooth will greatly appreciate this sweet potato dish. Sweet potatoes are a great vitamin-packed option for dessert recipes. With their naturally sweet flavor and potential health benefits, they're a great fit for enhancing everyone's campfire favorite, s'mores. Marshmallows, dark chocolate chips, and graham crackers round out this easy, baked sweet potato dish. 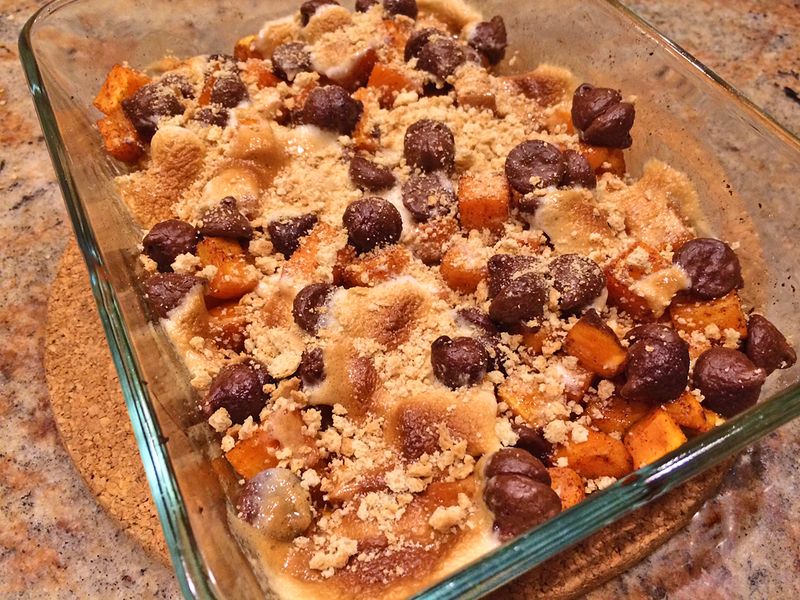 So let me ask you, do you want s'more of this delicious S'mores Sweet Potato Dish? 1Preheat over to 425 degrees. 3Spray an oven safe dish with cooking spray. 5Layer sweet potato on bottom. Cook for 20 minutes, or until sweet potatoes are fork tender. 7Add marshmallows and dark chocolate chips. Baked for 3-5 more minutes, or until marshmallows are golden brown. 9Remove from oven, top with graham cracker crumbs, and feast.